We are dedicated to provide comfortable, discreet corporate transfers from Brisbane Airport, Gold Coast Airport, and the Sunshine Coast Airport to your hotel, business or conference in a private executive limousine or luxury people carrier. We will also travel to Toowoomba and Byron Bay on request. Brisbane Premier Limo Service operates a clean and modern fleet of executive limousines and luxury people carriers with the capacity to carry up to seven passengers in comfort and privacy. Our luxury sedans are the best choice for a private or business airport transfer. 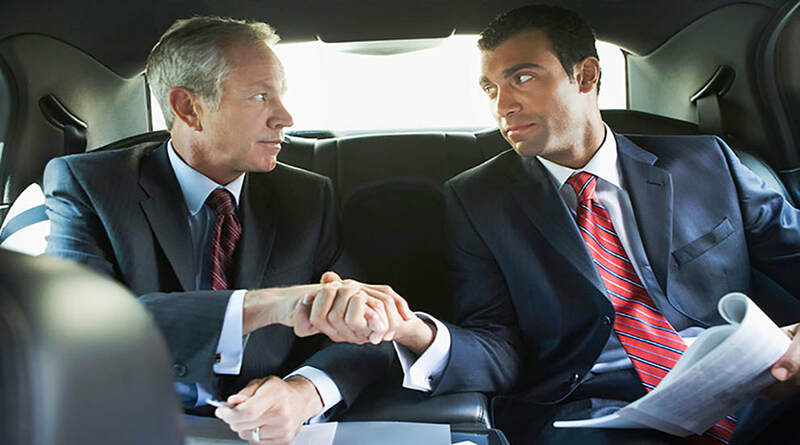 The best business deals and negotiations are done in style and comfort, which our limousines provide. Many corporate executives use the travel transfer time to finish up the meetings and instruct their PA, whilst we drive them to their destination. If you are hosting a group of up to seven people on an important business lunch or touring further afield with delegates on a sightseeing trip, our Mercedes Viano and experienced chauffeur will make the right impression with your business associates. Peter and his team offer transfer reliability, corporate specific customer service, and extensive experience in corporate transfers. We are a local family owned business, driving limousines in Brisbane and surrounding areas for over 28years. We plan your journey down to the last detail because we understand the importance of getting to meetings and flights on time, without YOU wasting any time. Door to door personalised pickup in a prestige car of your choice. A 100% reliable service between the airport and the office, hotel or conference venue. Assistance on arrival at the terminal – your chauffeur will help you get your luggage. A complimentary meet and greet service inside the airport terminal – one of our drivers will be waiting at your terminal to assist you. Luggage handling from the terminal to an executive limousine after your flight has landed. Our Corporate Transfer gets you safely to where you need to go, via the most efficient route...no hassle. Your time is money and we understand that better than anyone. You, your employees & guests are in safe hands with Brisbane Premier Limo Service. To find out how our corporate services can save you time and money, read our FAQ’s or take a look at testimonials from our repeat business travellers. We have a convenient online quote system that is easy to use and an online booking facility if you want to book your corporate transfer now. Please contact us if you have any questions, or call 0421 409 098 to book your corporate transfer executive limousine hire today.Have you ever had that sinking feeling when you couldn’t find a park and the clock was ticking, or jumped out of a cab and realised you left your laptop behind as it drove away? When you book your corporate transfer with us, you can forget about tolls, traffic jams, parking problems and lost property in anonymous cabs. Your journey to and from the airport or business functions in our executive limousines is a private, relaxing experience, leaving you free to concentrate on your next big deal. If you do leave something behind, we will make sure it is returned as quickly as possible. Our corporate transfers make business travel easy and enjoyable and represent excellent value for money. If you travel frequently, we can tailor an executive limousine hire package to suit your requirements and budget, and we will make every attempt to arrange the driver of your choice.